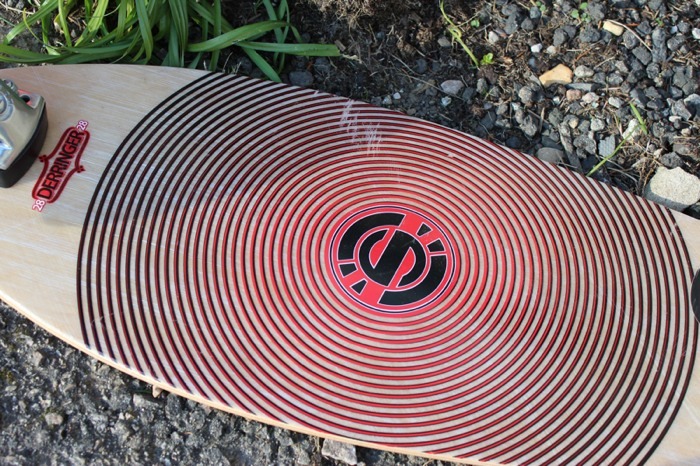 This offering, the Derringer 28 Longboard from Original Skateboards is able to achieve a sensation when riding that I have never experienced on a board before it. But is it worth your attention? Keep on reading. The deck is constructed from Bi-axial fibreglass sandwiched with 5 Ply Canadian maple, enabling a super sturdy stiff deck. Our board is kitted with the S8 200mm trucks which are fantastic for carving, coupled with the 10/16 risers holding the board high above the ground. The wheels are Fireball Incendo 70mm 84a's, a brilliant choice for this board, enabling a very comfortable ride but also provide brilliant grip. The design includes duel pin stripes and the rear has a simplistic spiralling vortex type of graphic, which doesn't obstruct the beautiful Canadian Maple. You can purchase the board in many colours including red, blue, orange, green, white and in some alterative shades of each. Overall the boards superbly crafted and looks very awesome. The board is dubbed as being 'mini', it measures 28” inches in length and 9”inches (at it's thickest point) in width. Adequate room for larger feet/ shoes is here but very tall individuals over 6ft may find the board too small to gain enough response to tap into it's full potential. It's also remarkably light. The compactness and lightness translates into a prefect travel companion. The Derringer 28 can't be matched by anything else within its category in regard to it's style of performance. Firstly the carving capabilities are absolutely mind blowing, even more so when you take this guys size into account. 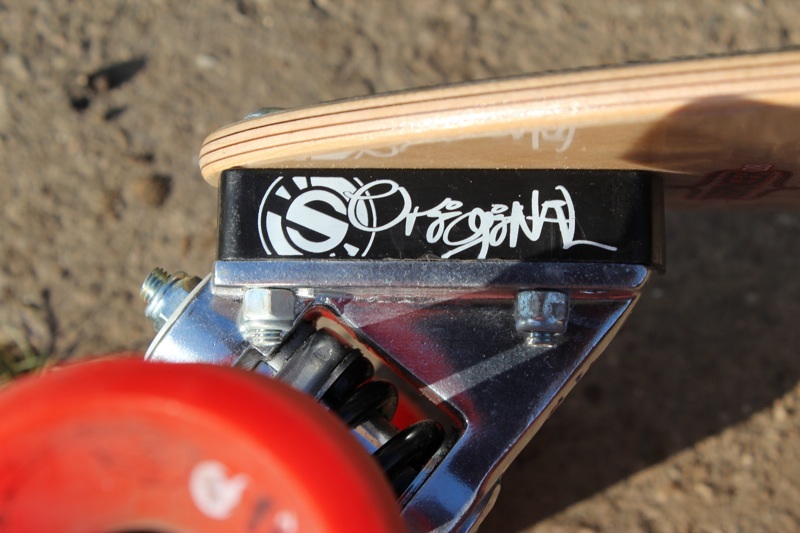 Serious response gained from the trucks, wheels and height of the deck delivers a sensation of surfing and floating. It's just so much fun to ride and is a real breath of fresh air. Turning tight corners, zigzagging through people and obstacles and general manic carving is what this board knows best. It's a fantastic longboard for sidewalks. The truck placement at either end of the board means every inch of the deck is used for carving, so nothing is discouraging the performance within this department. Decent speeds can be reached but bombing down steep hills traveling at around 20-25 MPH is a very sketchy and essentially a no go. The board has thrown me off mild to medium steeped hills, due to the wobble but after a good few months of usage I am able to out balance it. But because the board is quite loose, bombing super steep hills just isn't practical and you will almost certainly fall off, despite however good of a longboarder you are. Cruising in the city or in the country on the flat is ideal and where this board excels. The ride is smooth and I can sustain my speed by pumping, my foot rarely touches the ground. 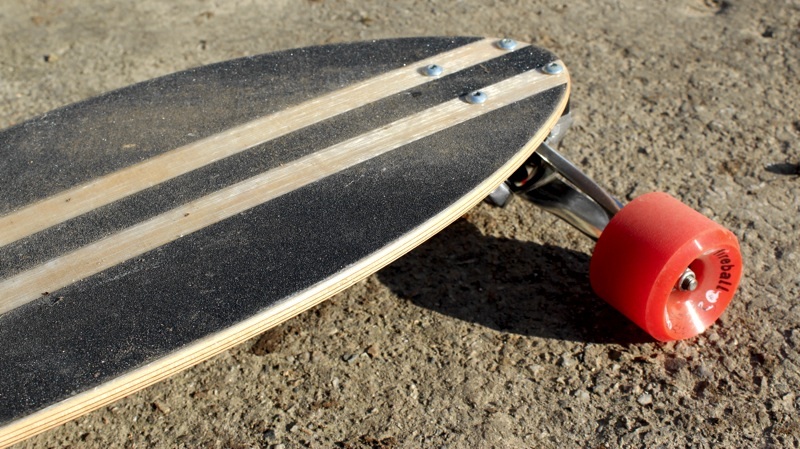 Where the Derringer 28 differs from other Longboards is that it incorporates no overhanging tails. Tricks are basically a no go due to this. But enough deck is here for shredding bowls, which I found to be very well handled. However not allowing for tricks, forces your feet to be either directly on top of the trucks or in the middle of the board. This guarantees that your foot placement will allow for the best manoeuvrability. 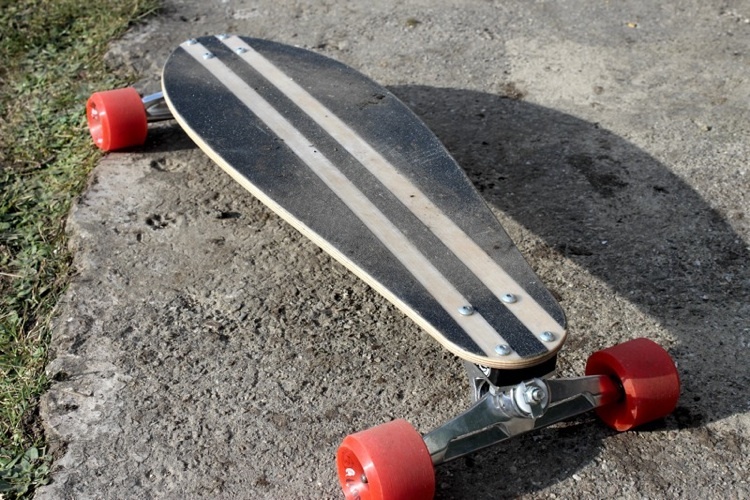 The Derringer 28 Longboard offered a totally different and original experience for me and I absolutely loved it. I highly recommend if you want to venture out and enjoy a different style of riding.